Gweru City Council will soon start selling the Mkoba 21 residential stands after a full council meeting that was held recently resolved that the stands can now be sold, reports The Sun, an independently owned Gweru weekly publication. It was resolved on the 17th of October that the stands will be sold after they have been advertised so that if there are no objections in 21 days selling will uninterruptedly proceed. About 15 stands will be allocated institutional and commercial use whilst the majority will be residential. 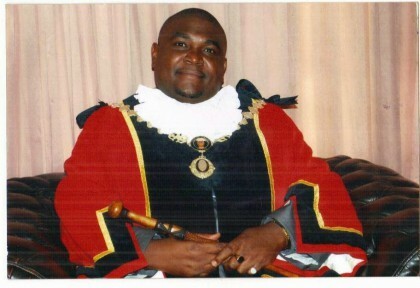 Council is negotiating on the prospective developer who will start servicing the stands as soon as the agreement is reached, says Gweru mayor councillor Hamutendi Kombayi. The ful council also resolved that those on the housing waiting list must be given first preference.Council has a waiting list of approximately 30 000 people meaning that the chasm is far from being filled, with only 6000 stands having been availed. It also emerged that close to 2000 stands will be reserved for council employees who have been left out in previous allocations, a development that the employees embraced with joy. �We are at last grateful for the gesture that willsee us owning our own houses, and many thanks to the employer who has come up with a noble arrangement,� said an employee who spoke to the paper. Elsewhere in, Shamrock, Senga, and Ridgemont, 384, 100 and 13 stands are being sold. Sources privy to the conditions of sale say that a quarter deposit of the total amount of a particular stand will be paid over a period of 36 months. The sizes of the stands range from 200 up to approximately 2000 square metres.